Fishmasks Single Layer Neck Gaiter is made of UPF 50+ fabric to help shield your face and neck from 99.9% of harmful Ultraviolet Rays. Fishing conditions most often are: sun beaming down from overhead, plus more sun bouncing up from the water s surface, which means double the risk of sun exposure. 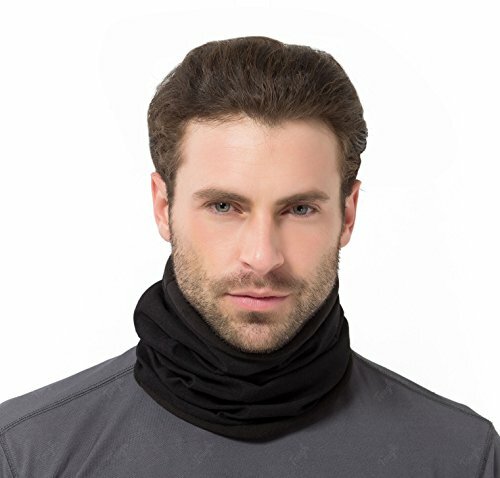 Pull on a Fishmasks Single Layer Neck Gaiter to protect from all angles. Our Original Turtle Fur(R) Fleece \"Turtle's Neck\" acrylic fleece gives you the added dimension of luxury along with exceptional warmth, comfort and wear. The process by which Turtle Fur(R) acrylic fleece is made gives it an incredible loft and a plush, luxurious feel. Plus...Unsurpassed heat retention, incredible wicking properties, fast drying, durable, itch resistant, color fast and machine washable. Double-layer Heavyweight Original Turtle Fur Fleece, the Softest and Warmest Fleece and original and still #1 best selling fleece neck warmer in the world. 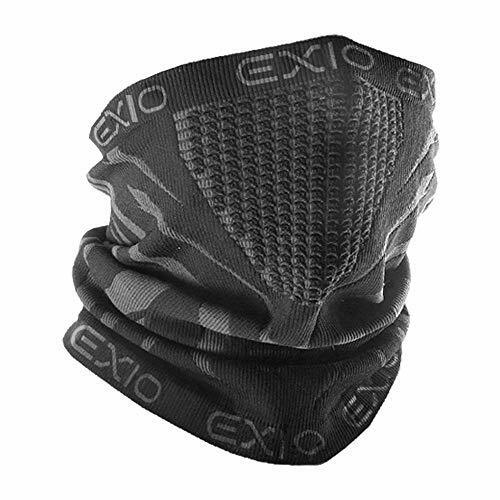 EXIO's NEW LUNCHING FOR AMAZON EX-NW03 (Neck gaiter) Unisex Neck Warmer Gaiter Features : Powerful Warmth, Soft and Comfortable (3D seamless), Breathable (Mesh Air hole), Wide applications, UV protection, EXIO JAPAN is the Performance Gear for all Weather Sports and Activities. Running, Tennis, Golf, Baseball, Basket ball, Driving, Hiking, Trekking , Racquetball , Truck Drivers, Martial Arts, Softball, CrossFit It covers all activities from general exercise to professional athlete. Provides all day comfort wear without sacrificing function and support. 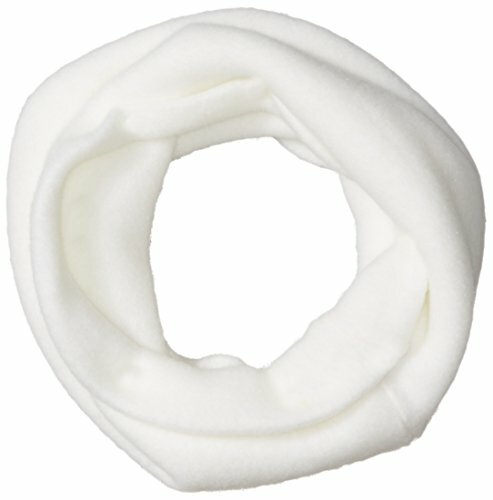 Neck warmer(scarf) for Winter (size : free) - 53% Nylon, 39% Polyester, 8% Spandex. Our special function(Air hole) - It makes you breath easier, Even when you wear glasees, the lens and eyes do not take up moisture. Seamless Design to make more comfortable than others. We make sure you'll be more comfortable. Perfect for Winter sports and activities even daily life. Protects your skin from freezing temperatures. High Performance Fabric - Quick and Dry transport system. Wicks sweat away from the body, keeping you warm. Extremely Elastic Material Warming. Perfect for All Activities even Work-space. This winter, show Old Man Winter who's boss. Tough Headwear neck warmers are perfect for braving the cold. Put it on and you'll experience instant warmth and soft comfort. Our neck warmer's polar fleece feels like a mix between plush fleece and soft fur. Not only are our neck warmers reversible, but you can also wear them as an ear warmer headband, neck gaiter or face mask. The Tough Headwear Satisfaction Guarantee: If for any reason you're not 100% satisfied with our headwear, just let us know. We'll refund or replace your product faster than you can say "burrrrr". How can we make this incredible guarantee? Because we're outdoor adventurers from California who've tested our headwear in every condition possible. We never go on an adventure without our Tough Headwear, and we know you'll love our neck warmers! Will you get painful with ears/face/neck exposed walking in winter days? Are you get windburnt and freezing when motorcycling or running? Wearing this Neck Warmer is the excellent way to beat a cold winter/windy day!!! 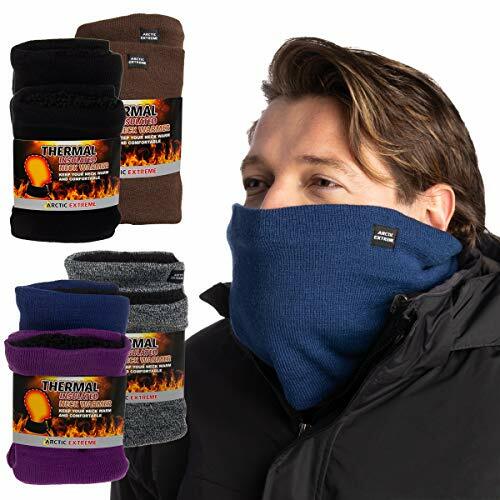 -Protect your face from getting windburnt and my ears freezing. -Keeps your head nice and toasty. -Provide ease of breathing through without frosting up. -The material is extra soft, you can easily pulls it down without feeling all bunched up. -Made of innovative cationic fabric, anti-static, anti-pilling and wrinkle resistance. -Provides some protection from inhaling dust particles. -Suitable for anyone who needs to spend a considerable amount of time outdoors in frigid temperatures, especially if asthma is a factor. 100% customer satisfaction is our top priority. Full Money reimbursement if not being satisfied. Any concerns, CONTACT US directly and we will be happy to serve you. Our Chelonia 150 Double-Layer Fleece Neck Warmer is designed to be the best ski mask you'll ever find. Created with comfort and warmth in mind it is comprised our soft and warm water-resistant, mid-weight fleece, which makes it perfect for any outdoor adventure, from skiing to running. 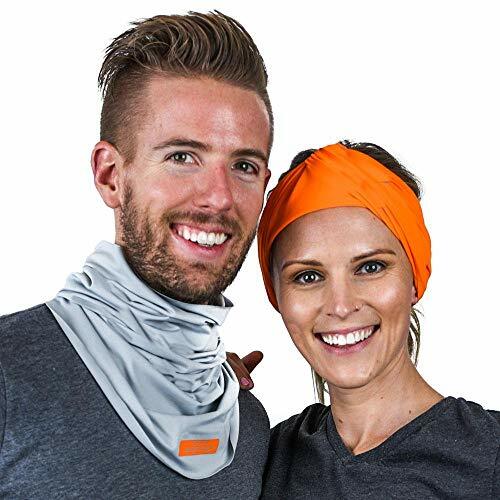 Gone are the days of getting tangled up in scarves as you put on your cold weather gear, our neck gaiter is easy to slip on over your head and can be used as a scarf and a face mask. Two layers of this ultra soft fabric trap heat and keep you warm on even the coldest days. BUILT FOR EVERY WINTER ADVENTURE: From skiing to snowboarding, running to hiking, or shoveling snow to snowball fights, you'll be warm with this gaiter on. Designed in the mountains of Vermont we've tested this to be warm in the coldest of weather. EASY TO WEAR: Tube design is easy to pull on over your head and can be worn as a scarf or a face mask. One size fits most design makes this a great neck warmer for men or women. SOFT & WARM: Made of 100% Polyester Chelonia 150 Fleece we are sure this will be the softest fleece you've ever felt. Double-Layer construction ensures that you are kept warm even as the temperature drops. EASY CARE & PACKABLE: Machine washable in cold water, and just toss it in the dryer with no heat to have it clean and fresh for your next adventure. 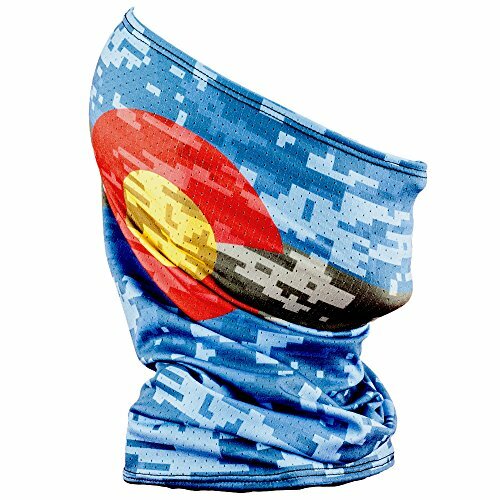 9.75 square and only 3.1 ounces this neck warmer is easy to throw in your bag before your next trip to the mountain. GIVE A HAT: When you buy this neck warmer and share a photo on social media with #projectwarmth and mention @turtlefur we will donate a hat to someone in need. 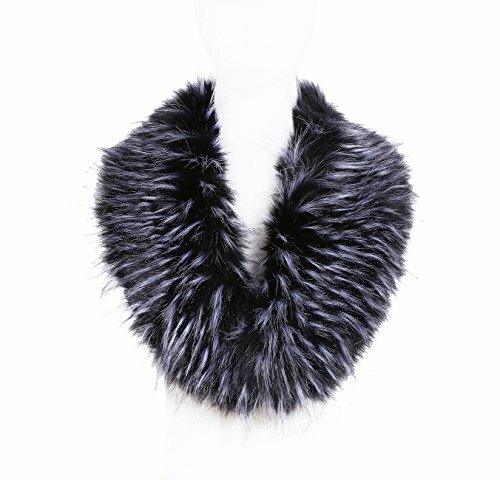 This circle loop scarf is perfect to wear daily on the go. Can be worn in different styles. Lightweight yet warm and perfect length allows this knit scarf to be worn as a single or double loop. Great for dressing up any outfit during fall and winter, suitable for both formal and casual occasion. Keep warmer and fashionable knit neck warmer designed for men and women, girls or boys. Perfect Gift Ideas: Birthday, Bride, Bridesmaid, Wedding, Christmas and New Year. If your neck is cold, the rest of your body is cold. Period. Warm up with this Arctic Extreme Thermal Neck Warmer! Laced with fabulously soft fleece that won't itch your skin, this neck gaiter will keep you toasty and cozy in the coldest weather. Grab it before going skiing, snowboarding, or just standing outside waiting for your morning commute. Shell: 100% Acrylic, Lining: 100% Polyester; 8H x 11L. Adult, one size fits most. Also fits teens and some juniors. 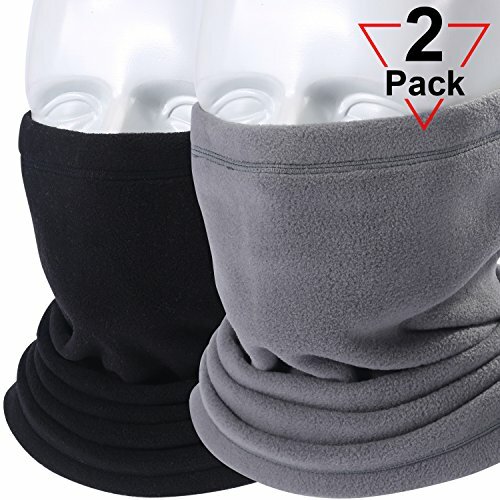 (2) Unisex Arctic Extreme Neck Warmers, Choose Color From Dropdown Menu, New In Retail Packaging; Choose 2 Brown, 2 Marled Gray, 2 Black or 1 Blue & 1 Purple. Made in China. Made from the highest quality faux fox fur.An attractive addition to a winter outing For women who value simplicity and elegance. BUYER Al young" and add your item to soul young Store's cart. If the item you choose is sold by other sellers, it is not legal copy from "soul young" and we could not guarantee the quality of other sellers,Thanks! Cross-over style dickey can help your neck stay warm, and are perfect for both men and women. Stand-up collar works well under sweaters and sweatshirts for more warmth without the bulk. Long front and sides stays in place. 55% Cotton 45% Polyester. 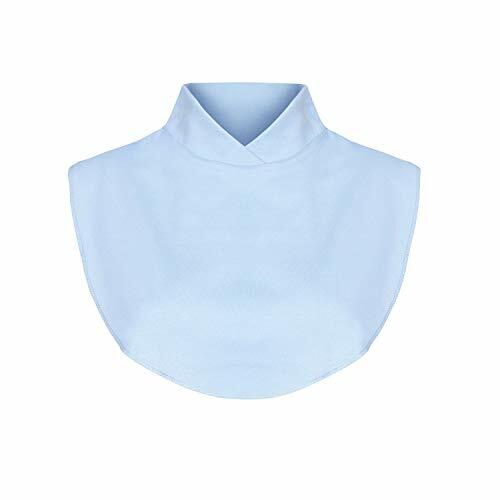 BLENDING WARMTH AND STYLE - This cross-over collar dickey is the perfect way to accent an open-collar shirt, sweater or blouse to keep the chills out. ELIMINATE BULKY BASE LAYERS - Get the look and feel of a dress-casual undershirt without the bunching and binding that comes with typical layering. PROVIDES A BIT OF MODESTY - Fashionable dickey is great to wear with your favorite low cut tops when you need a bit more coverage in the neck/chest area. FOUR COLORS AVAILABLE - This versatile wardrobe staple is available in light blue, lavender, rose and yellow to complement any outfit. EASY CARE - Machine wash dickies are made of a comfortable cotton-poly blend. It could use in winter to keep warm, in summer to against the sunshine, and also in the Office to keep out the air conditioning. 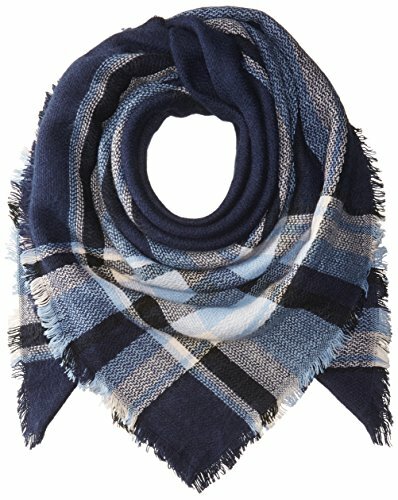 This cozy scarf is the perfect cold weather anf Fall companion. The scarves are one of the most popular scarves in 2015. 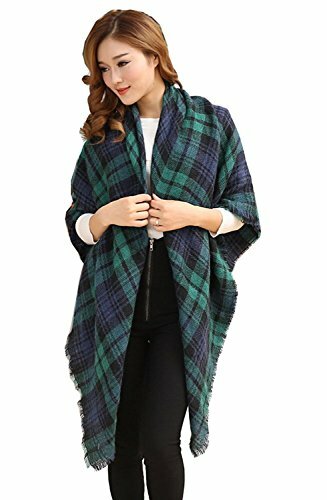 It is featured by classic plaid and beautiful color.It is gorgeous and super warm,attractive scarf.You could wear the scarfs in many ways. It keeps you warm in cold weather. It is really a good gift for your friends and family members.